New! Submit your own photo or design to appear instead of one of our exclusive designs. 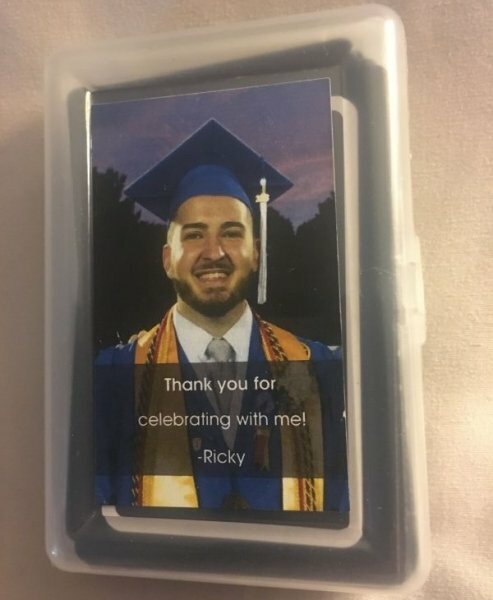 If you are looking for a unique way to say thank you to your party guests, check out this custom playing card favors. 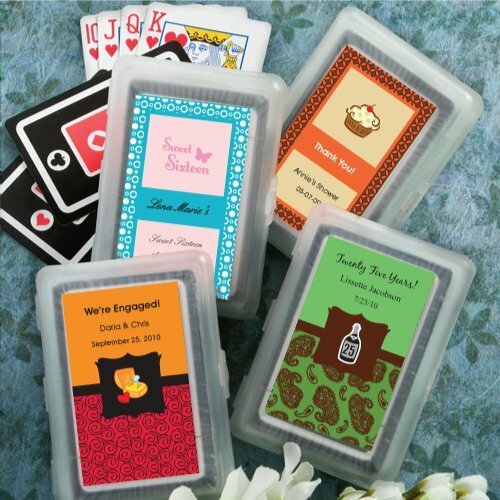 You can pick the color, border design, and graphic, to make you very own one of a kind favors that reflect your personality. We also include up to 3 lines of text, so your friends and family can have a memento with your name and birth date. Choose from hundreds of label designs to create a unique favor for just about any occasion. 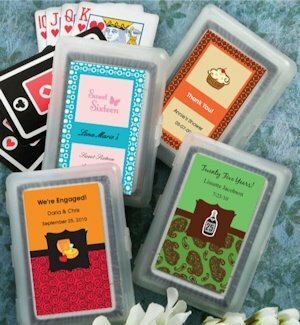 Each favor measures 2 1/2" x 3 3/4" and includes a hard plastic case outside, and a regular deck of playing cards inside. Note: Personalization applies to the label that you affix to the box only. The playing cards are standard and are not personalized. Note: Personalization will be done as shown using the design tool below and is a close approximation of the printed label.